You might not be able to grow the more tender herbs to grow in September or October, but there’s still some hardier varieties that’ll get going now and keep you supplied all winter. The trick is to start them off inside, with a bit of heat (it need not cost a fortune, we use a really cheap windowsill propagator from Wilkinsons) so they are a decent size before planting them outside. The bigger they are, the better they will be able to cope once the colder weather really starts. Chervil: With its feathery fronds a little bit like carrot tops, this tastes a bit of aniseed/Pernod and is fab snipped into salads or scrambled eggs. You want to add it at the end because its flavour is lost if it’s cooked through and a little goes a long way. Sorrel: This lovely lemony herb will add zest to any winter salads, and it is fab blitzed into some pea soup too. I grow sorrel in pots with plenty of grit for drainage because it hates sitting in wet. A good variety to try is red veined sorrel. Keep trimming to keep a supply of fresh young leaves which are far tastier. 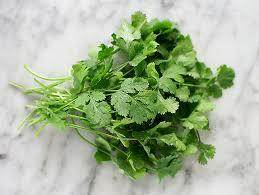 Parsley: I hate curly leaved parsley because it reminds me of those bits of decoration people used to put on food. But flat leaved parsley is another story, and sown now, it will keep on going in the garden, especially if you cover it with a cloche. Winter savoury: One of my favourite herbs for winter, this is a spicy, earthy herb which is well worth trying. Sow it, covering with just a sprinkle of soil and put in your propagator to get plenty of light. Plant out or grow in a deep pot. It looks and tastes a little like thyme and is tough as old boots. Older plants will become woody and shrubby, and I’ve seen it used very effectively in place of box as a low-growing hedge. Dill: This is another one which bolts given half a chance, so starting it now means you’ll be able to crop it during the cooler months without worrying about it running to seed. You can sow them into modules, or half seed trays. Sow into gritty compost or half and half with compost/vermiculite that’d you’ve wetted beforehand (if you water afterwards, the tiny herb seeds get scattered all over, which is not what you’re after). It should take about two weeks for them to germinate if you’re using a propagator or have sown them under cover, and another couple of weeks before they will be able to go out either in beds or in pots. If you’re lucky enough to have a polytunnel or a greenhouse, you could pot up your new plants in deep pots and make sure they are watered and looked after during the winter. If you’re planting outside, a good idea is to pop one of those hoop cloches over your plants. It will give them a bit of protection from the worst of the winter weather. Plants will grow more slowly over winter than they will in summer because they aren’t getting as much heat or sunshine. They also won’t need so much feeding and if you plant in compost then that should keep them happy. Pick little and often throughout winter and enjoy!